will a casino bring more crime? Crime statistics about casinos are tricky and it is difficult to make broad statements about casinos and crime, because casinos are located in such diverse places and there are relatively few casinos in cities. Nonetheless, it seems rather clear that urban casinos can expect an increase in certain kinds of crime, especially near the casino and along major arterial roads leading to it. The potential is too great, we believe, for any nearby neighborhood to merely accept the risk and “wait and see”. Once a casino complex is built, any increase in crime or perception of increased jeopardy on its streets will mean a reduction in the quality of life (and property values) for those living in its immediate vicinity. 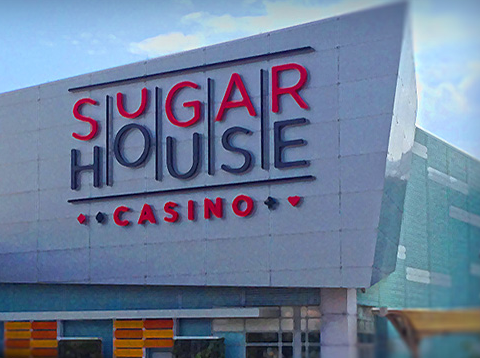 follow-up: SugarHouse in Philadelphia: see our posting “did crime go up near the SugarHouse Casino?“, which discusses a study that some say demonstrates there was no significant increase in crime in the neighborhood of the SugarHouse Casino in Philadelphia, which is operated by Rush Street Gaming. Our analysis suggests, to the contrary, that those who live near a proposed urban casino should continue to be quite worried. And see, a few things the Gazette forgot to mention (Aug. 4, 2014). . Note: Atlantic City has a population of about 40,000 and Gulfport about 70,000, quite comparable in size to Schenectady’s 60,000. The Report notes that the enormous increase in crime in Atlantic City from 1977-1980 (violent up 130%, non-violent up 176%), has been “misinterpreted”. The number of crimes may have gone up a lot, the Report says, but the increase in the number of persons in the City means “the risk of individualized victimization appears to have fallen slightly according to visitor-adjusted crime.” I am not sure that is particularly re-assuring, especially to those who live or work near a casino, where the visitors are concentrated. Another study of interest is “The Effects of Casino Gambling on Crime” (B. Stitt, D. Giacopassi, M. Nichols 1998), which was funded by a U.S. Justice Department grant and did a statistical analysis of 7 jurisdictions with fairly new casinos, comparing before and after crime stats. It looked at both the official population of a city and the “at risk” population when visitors are added in. Stitt et al concluded that there was a statistically significant increase in DUI, larceny/burglary, and family offenses in locations that established casinos in the 1990s. [at 16] For me, the increase in family offenses is particularly telling, as it shows how the negative effects of gambling losses reach into the family of gamblers, as money for housing, food, clothing and children’s needs is spent at the casino. This entry was posted in Casino Crime, Schenectady Casino and tagged crime, Schenectady Casino, urban casinos by David Giacalone. Bookmark the permalink.